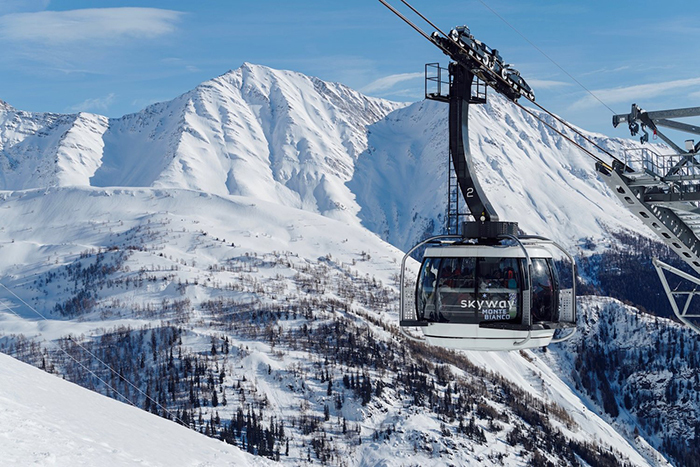 Ski lifts come in all shapes and sizes, with varying heights and degree of technical merit, but only a few of them truly have the X factor. 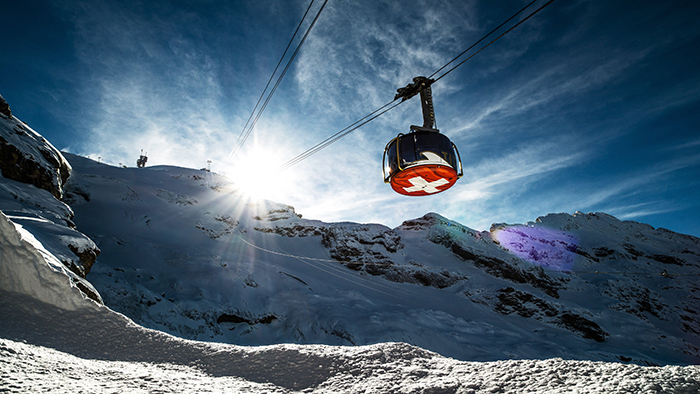 Lifts are much more than means of transportation that takes skiers to the top of the mountain. 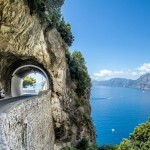 Some of them have revolutionary design, others offer a thrilling ride, but they have all conquered the heights, some of the steepest and dangerous mountains in the world. 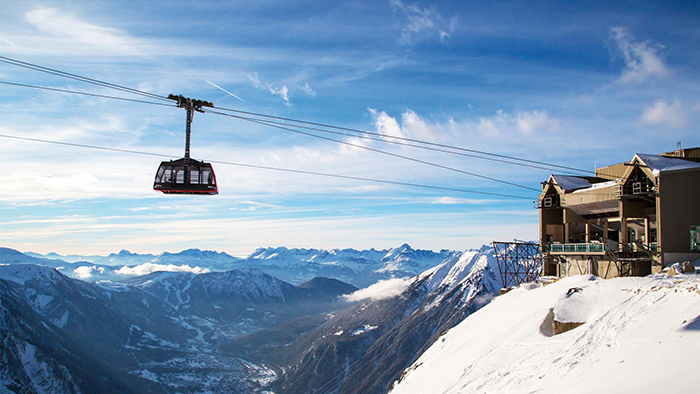 Here is our top 6 of the highest ski lifts in the world that redefine the word extreme. 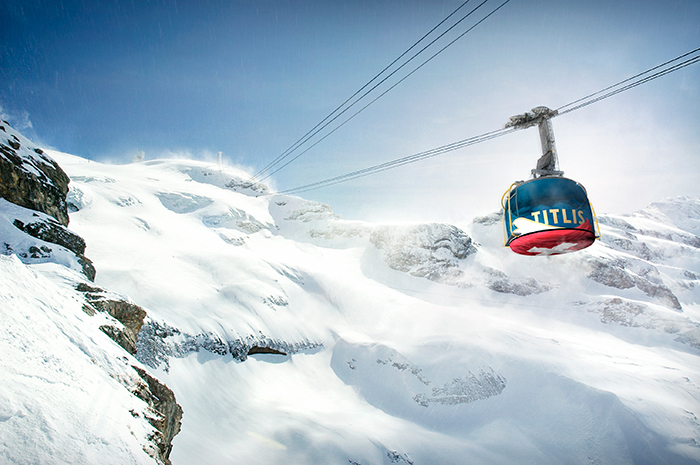 This ski lift name may be a bit difficult to pronounce but wait until you get there. 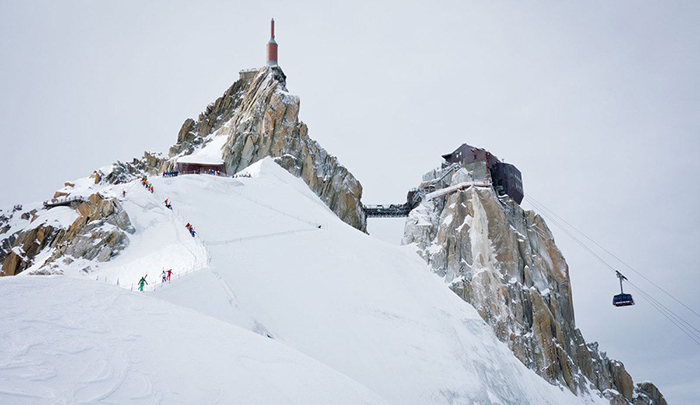 It is towering over the beautiful French town Chamonix just below Mont Blanc. 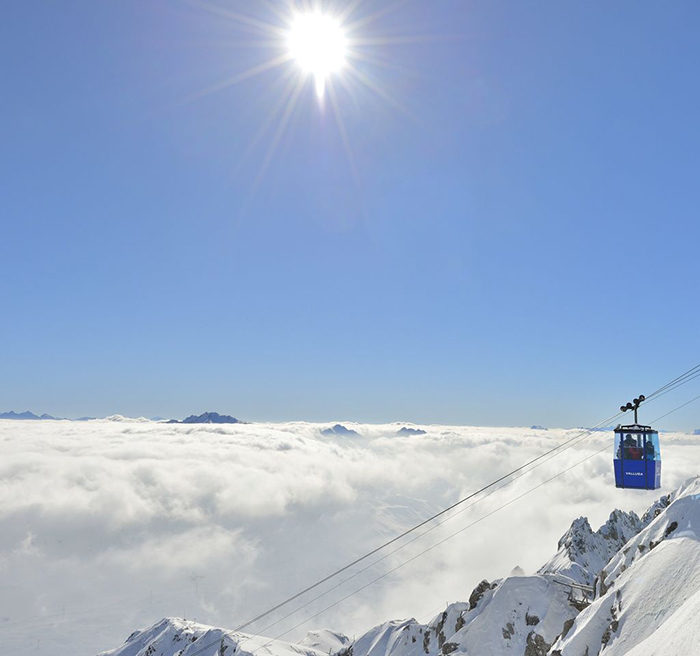 The lift has two stages which soar from 1.035 meters to 3.778 meters making it the highest ski lift in the country. 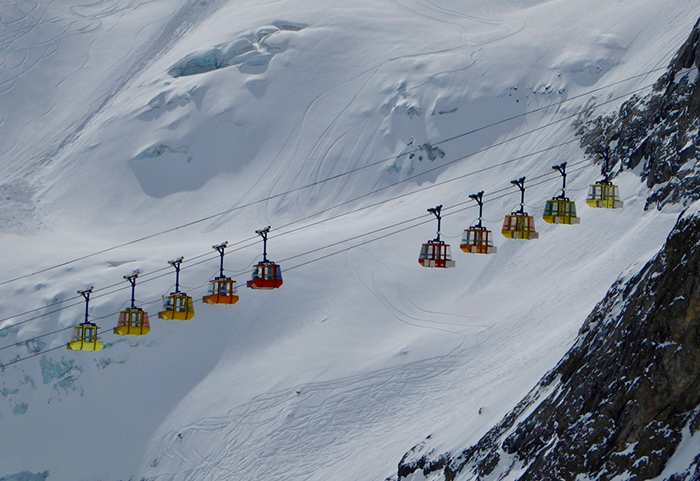 The cable car goes over glaciers, forests and more, offering the highest vertical ascent in the world. 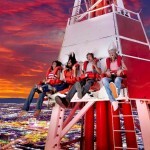 During the 20-minute journey tourists can enjoy breathtaking high-altitude panoramas. There is a viewing platform on a pinnacle just above the Bossons glacier called “Step into the Void” which is a must-see for most visitors. The name sounds like a luxurious brand of vodka or caviar, but it is one of the longest ski lifts and one of the highest too. 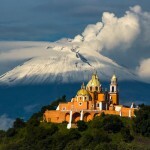 It rises to 2,811 meters and has a notorious reputation. Only tourist groups with a mountain guide can access the cable car. The lift takes skiers to some of the off-slopes in the Alps, which also happen to be some of the best in the area. 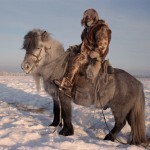 The North face of Valluga is a well-known itinerary for advanced skiers. Getting on a ski lift has never felt as exciting as this one. 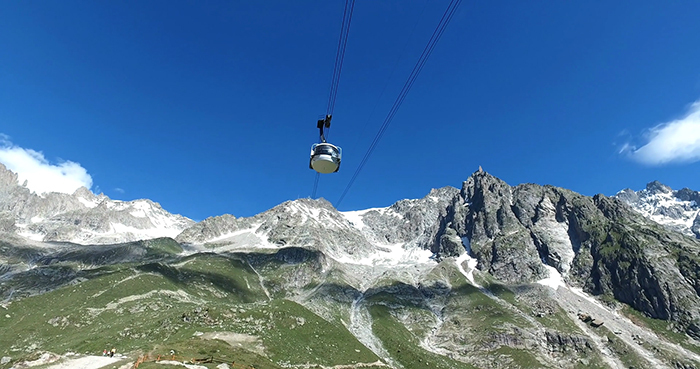 The Skyway Monte Bianco climbs into thin air from the charming town of Courmayeur. 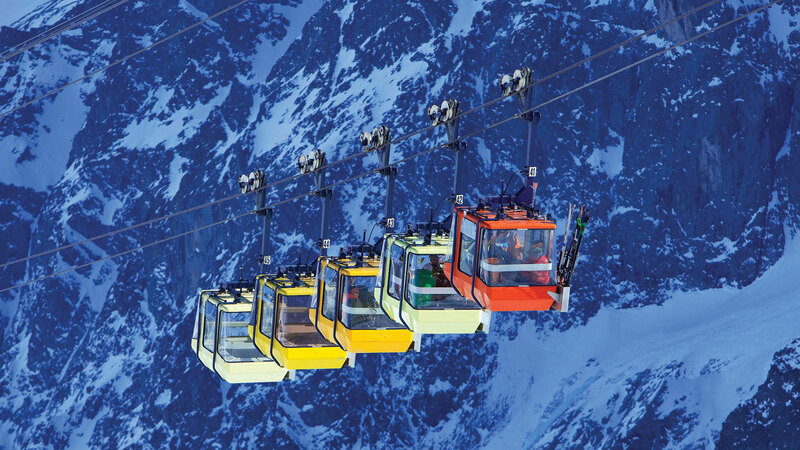 It is 360-degree rotating aerial tramway which takes skiers to 3,466 meters in 10 minutes. The cost of the construction was 110 million euro. The Skyway Monte Bianco opened in June 2015 replacing an older lift. 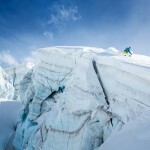 It soars through the breathtaking scenery on the south side of Mont Blanc. The top station offers a view to the so called roof of Europe the peaks Mont Blanc, Monte Rosa, The Matterhorn, the Grand Combin and the Gran Paradiso. 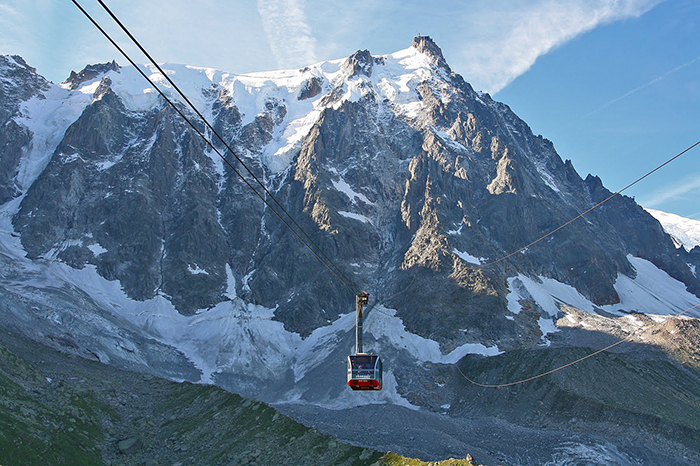 La Grave is an old cable car in the shadow of the La Meije mountain in Ecrins National Park. It is more than 40 years old and rises from a 12th century village at 1,480 meter, reaching its highest point at 3,200 meters amid glaciers, cliffs and crevasses. Skiing down from here is dangerous, so this experience is only for advanced skiers with mountain guides. Building Peak 2 Peak was a real challenge because it had to connect two iconic mountains with a steep ravine in between. 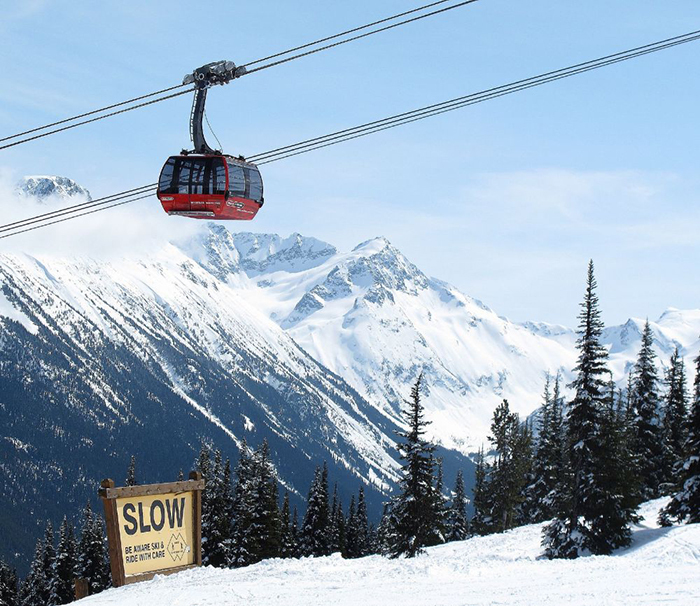 It connects two of the largest ski resorts and popular ski areas of Whistler and Blackcomb in British Columbia. 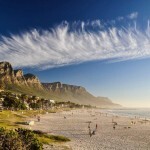 One of the biggest challenges of the project was not to cause any environmental damage during the construction process. 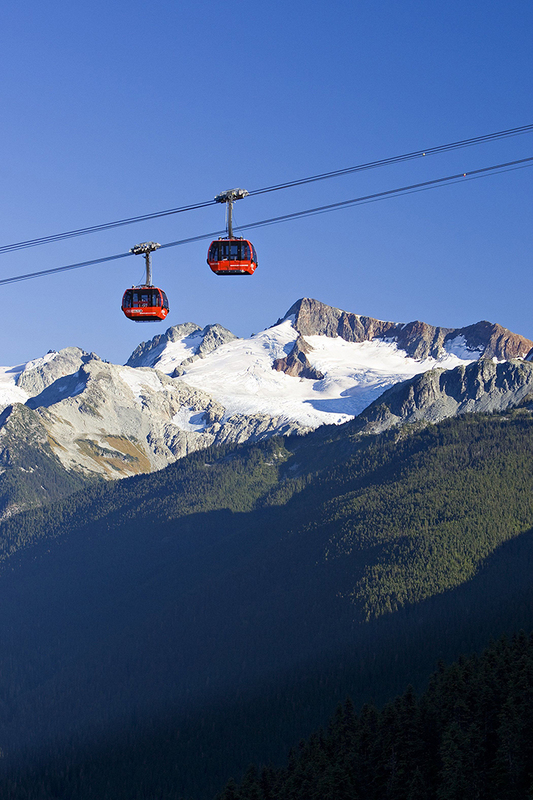 Peak 2 Peak opened in 2008 – a record-breaking 4.4 kilometers aerial tram that allows skiers to access two mountains in a day. The ride takes about 11 minutes. This is the worlds’ first rotating gondola which carries visitors to 3,208 meters above the town of Engelber in central Switzerland. 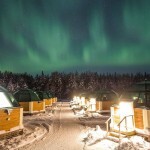 One complete spin takes five minutes offering 360-degree views of ice fields, crumbling crevasses and the surrounding Alps. Getting on a ski lift can be as exciting as skiing down from the steepest slopes. 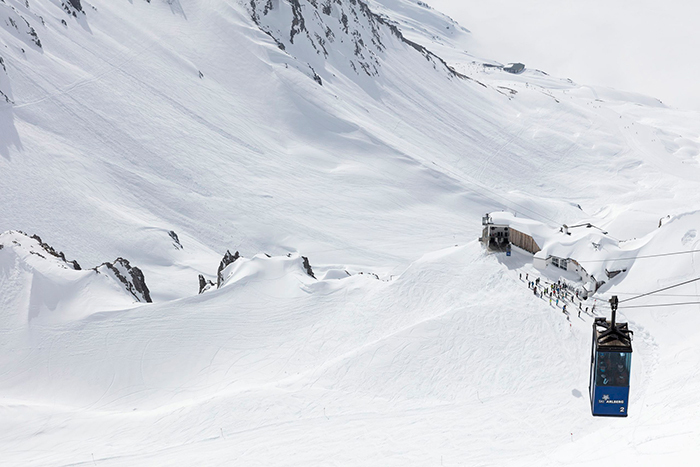 These are 6 of the highest ski lifts in the world, engineering masterpieces which offer a thrill like no other.